ICCF Invitational Allain Memorial: BCCA member PETER CATT was the winner of this 13-man international invitation tourney. He won on tie-break from Dave Grobler and Ken Owen. Click this link for the full results table. The 2012 Championship Final is now under way, comprising 15 players, 10 of whom are BCCA members including the 2011 Champion Julian Corfield who is defending his title. The British Correspondence Chess Association AGM will be held at the ‘Carrs Lane Church Centre, Carrs lane, Birmingham’ on 29th October 2011 at 2.00pm. All members are welcome to attend. Please see the AGM Page for more details. 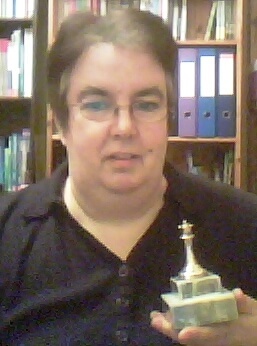 August 2010 – I hadn’t played competitive chess for almost twenty years following the unexpected death of my husband, soul mate and chess mentor, Bruce Halliwell, a strong county and club player, and to whom I dedicate this victory. I had also been housebound for the last three months, with a temporary mobility problem, so as you can imagine, I was extremely bored, being more or less confined to my office within the house – there is only so much daytime TV and Sudoku one person can tolerate! It was a month after my birthday, for which my sister had bought me ‘The Queen’s Gambit’ by Walter Tevis. 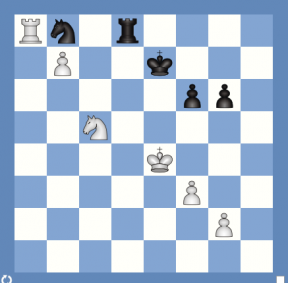 I had also been teaching my young nephew the moves, and I could feel the interest coming back, so I decided to browse online to see what was happening in the chess world, particularly in relation to correspondence chess. Quite randomly I came across the email address of Phill Beckett who I thought was someone from Sheffield I might have played correspondence chess against when I was teenager! I decided to risk contacting him! I am so glad I did, because I have had a great whirlwind of a comeback year thanks to him including me in lots of teams and events and pointing me in the direction of the Scheming Mind online club. I dug out an old certificate for first place in an ICCF Open tournament and persuaded the ICCF guys to let me into a Higher Section tournament on the basis of this, giving me my first experience of playing on the ICCF webserver – what a brilliant way to play chess – no arguing about altered or missing gamecards, or the drag of writing out separate postcards – no arguments about how much time has been taken – bliss! At the same time, I also found Keith Escott’s email address, who I remembered as a controller from way back. When I contacted him, he told me it was but a few days until the closing date of the British Ladies Championship and that my entry would be very welcome! So I decided to take the plunge! I didn’t even remember that I was a joint winner of the tournament thirty years ago, back in 1981 – probably because I never got to see the trophy back then! Today, the Lady Herbert Trophy has pride of place in my office, for the next few months at least! I realised too that I didn’t now possess a chess set (having sold all my chess books and equipment years ago thinking I would never play again), other than the virtual one supplied by an online site where I had tried a few online rapid play skittles games and was slaughtered, so had given up in disgust! Large orders were despatched to Chess and Amazon and a Chess magazine subscription hurriedly taken out. I set up an email address as Granny Gambit, not because I’m anyone’s grandma, but because my openings were so out of date! I also finally got round to joining the BFCC and the BCCA and signed up for an online chess course! Something told me I was not going to be bored for much longer! A few days later the pairings for the British Ladies Tournament arrived through the post. There were four other competitors and two games to play against each one. I had only heard of one of them – my long-time Yorkshire rival Dr. Valerie Craven – and she wasn’t the strongest player in there according to the ratings. There was also Sue Howell, who had been the winner for the last four consecutive years. I had been given a provisional rating of 1900, which meant nothing to me as I could only relate to the three-figure over the board ratings, but it was substantially lower than both Valerie and Sue Howell and a little higher than the other two competitors! I had but a simple ambition at the start of the tournament – that of avoiding finishing in last place on ‘nil points’! I felt like a nervous beginner when the tournament started, all my earlier 20 years or more of playing experience having gone right out of the window! The games got under way, with Sue Howell and Valerie playing by email and the other Sue and Stephanie playing the traditional way by post. The games with Valerie in particular went ahead at great pace and though taking very little in time terms, they were both over 50 moves: a Nimzo-Indian as white and my old Pirc as black, but despite being a pawn up in the white game, they ended up as two draws which was a fair result as I think she was perhaps better in the other game. Next came a couple of wins against Sue Sweet, a Queen’s Gambit Exchange Variation and another Pirc, and a first win against Stephanie Lawrence with a crushing king-side attack in another Queen’s Gambit Exchange. I struggled on the black side of the King’s Indian Four Pawns Attack against Sue Howell, but managed to hold the draw being down Knight and Pawn for Rook, but with a bit of play. 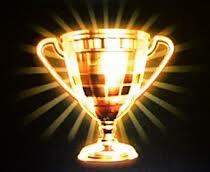 It dawned on me that if I could win both my remaining games, I would be the Champion, an utterly unexpected outcome! I secured the first of these wins in my second game against Stephanie Lawrence with a win as black in a classical King’s Indian. Everything now hinged on my final and favourite game, which ended in a victory with the white pieces in an exciting Nimzo-Indian over Sue Howell, the longstanding champion. All three results in this game would have had a different impact on the ultimate standings: a win would give me an unassailable lead and the championship; a draw would likely result in a 3-way tie and a loss would relegate me to third place! 1 – 0 Wow! I really did it. Congratulations to Anthony Balshaw, our reigning champion who has successfully defended his title with a score of 6-8 in the 5th Webserver Final. Mark Eldridge came second on 5-8. Anthony is defending his title for the third time in the 6th & last Webserver Final. Check out the Tournament Page for the latest position. The 2010/11 British Correspondence Chess Veterans Championship Final has been won by BCCA Member Keith McLaughlin with a score of 7.5/9 half a point ahead of BCCA Member Les Ellis on 7/9. Congratulations to both players on their achievement.